High Quality Photo Surfaces of Jean-Claude Van Damme as the ‘Predator’! 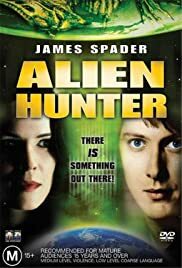 I thoroughly enjoyed "Alien Hunter". I didn't ponder whether it was drawing upon other films, or harshly criticize the actors. I simply enjoyed the plot and people and the entertainment it provided. I thought the cast all did a fine job. 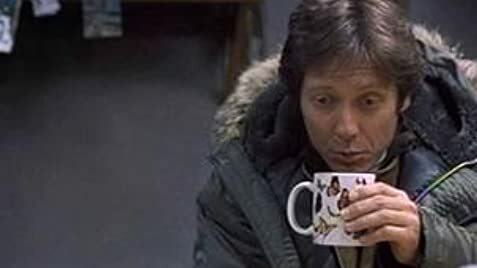 It's pretty good science fiction! I do wish the producers had found a more meaningful name for it. The premise of the film had an element of originality that made it gripping and entertaining. The finale was a complete surprise to me. I had envisioned quite another resolution. The director sets an overall somber, brooding tone with the consistently drab surroundings of the Antarctic lab. The plot develops well, and holds interest. There were very few slow spots, and those could have been my own perception. I liked the characters, and flowed right along with them. I would recommend this film to any science fiction fan. The beautiful girl in the white bikini, wading into a cornfield in an Antarctic lab, was irresistible. Just the right touch. The film is thoughtful and poignant, with elements of intellectual science fiction that made viewing it fascinating for me. Its the kind of film that one can just lean back with, and imagine being right there with the cast, living it all with them.